Nine persons with common obsession for the Greek music gathered to play their own music. 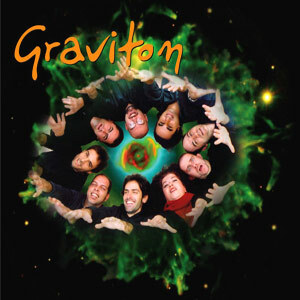 Graviton is the group that composes, sings (even in Swahili) and performs proving that music “breathes” beyond life-style and the glamorous way of living. In this first album the listener can find the radio hit “Sou tilefono” (“I’ m calling you”) that has been loved by the radio audience, as well as other excellent songs that will satisfy the appetite for good Greek music!